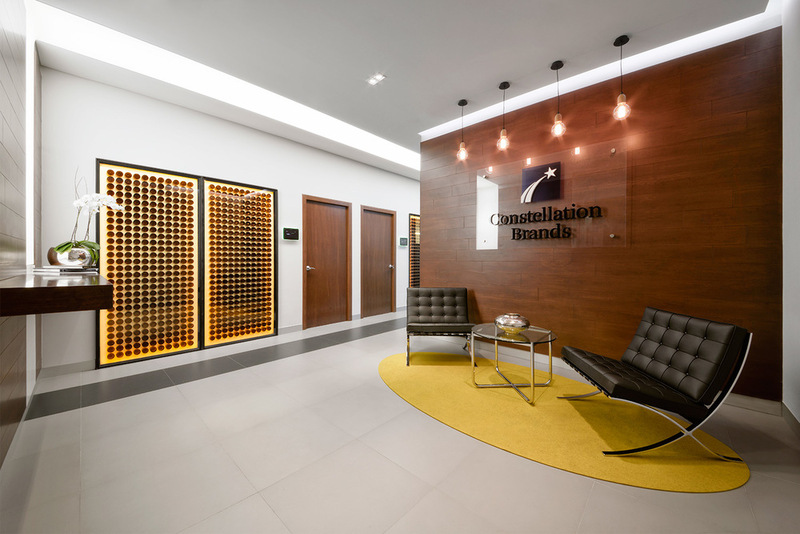 MEXICO CITY, MEXICO Constellation Brands sought KMD's Interior Design expertise to capture and represent their brand in Mexico City. 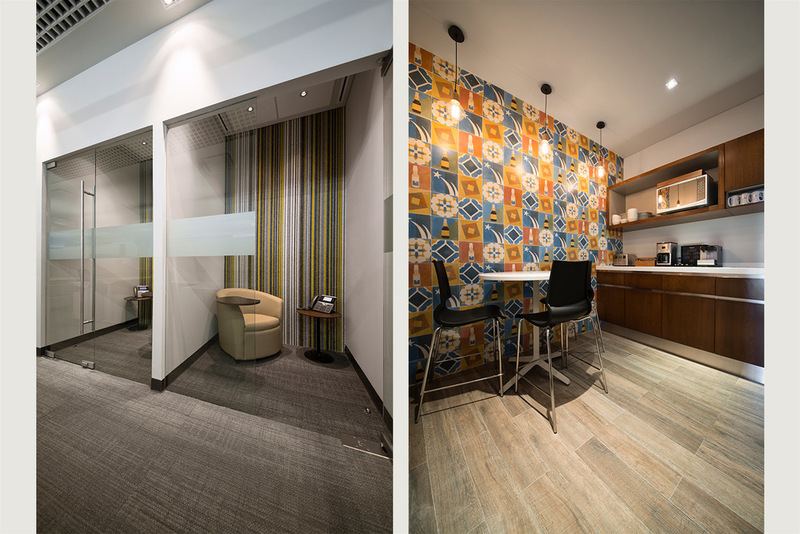 We coordinated with their headquarters in Chicago from Mexico which created an added responsibility in realizing our clients vision. 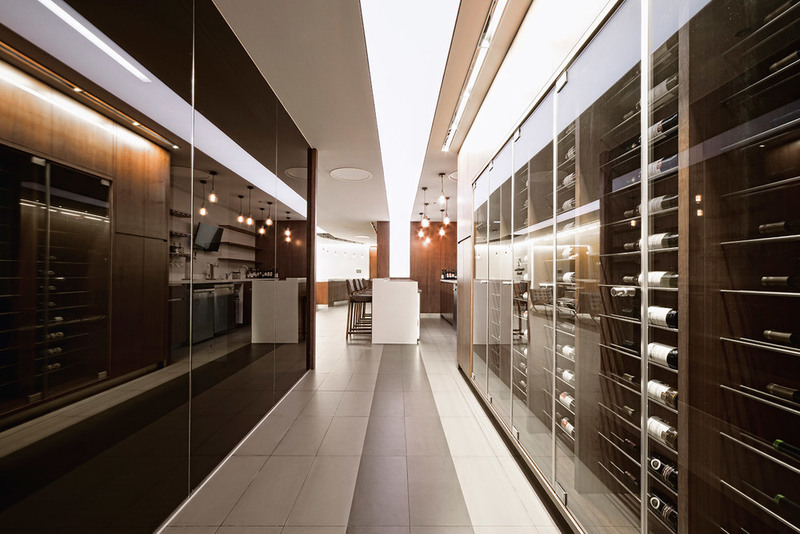 The design elevates the utilization of technology and use of space. In keeping with Constellation Brands' dedication to the production and marketing of beer and spirits it was important to highlight the products and promote product tasting. The reception space includes a bar and a wine cellar which serves all staff and guests after 4:00 pm. 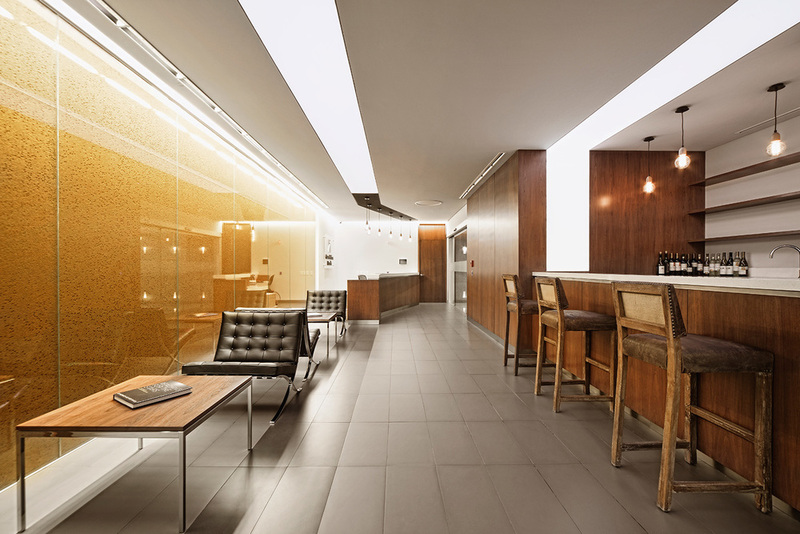 This space fosters collaboration in a relaxed and comfortable environment free of office hierarchies. 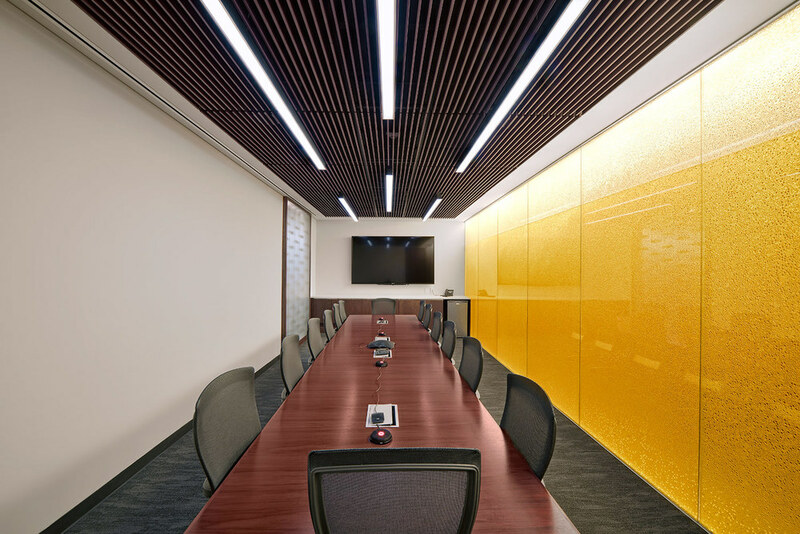 We designed meeting rooms of different capacities, each with their own identifiable characteristics. 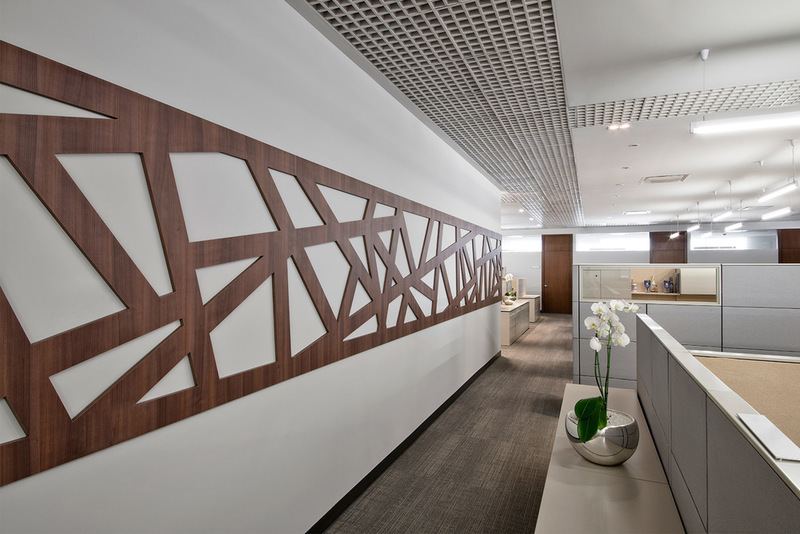 The material use of wood and steel channels the strength and experience of the company, as well as glass and reflective surfaces that promote transparency. A special material, 3form, simulates Corona beer bubbles and smoked glass simulates the Victoria beer characteristic bottle. 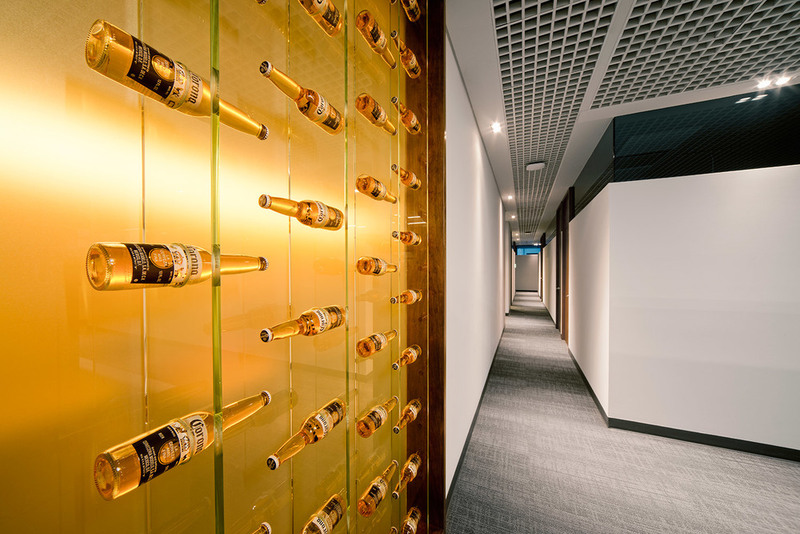 The most unique feature is our constructed mural made with more than 10,000 bottle caps and partitions using glass bottles as a tribute to the new bottling plant that had just been opened in Mexico.